A pose directed towards twisting, extending, and increasing suppleness of the spine, Extended Side Angle Pose should be among the favorite poses from the Standing Ashtanga Yoga Series. This pose works deeply on both, the front and the back leg along with torso, hands, and back. The name Utthita Parsvakonasana unfolds to ‘Utthita’ which means ‘Extended’, ‘Parsva’ translating to ‘Side’, ‘Kona’ translating to ‘Angle’, and ‘Asana’ translating to ‘Pose’. With a semi-balancing pose, this asana challenges and tests the focus and stamina of the practitioner. Let us understand step-by-step instructions on performing the Utthita Parsvakonasana with its modification, Utthita Parsvakonasana benefits, and contraindications. Step 1: Stand in Tadasana at the top and center of the mat. Take a step or a little jump and place the left feet away from right feet at a gap of 3 to 4 feet. The arms are extended to the sides, the fingers are pointing outwards, palms are facing downwards, and the shoulder blades are pressed down. Step 2: Now, keeping the right foot’s toes pointing straight ways, the back leg which is the left foot is pointing inwards and placed at 45 degrees. Both the heels are aligned in a line. The gaze is fixed on the fingers of the arm forward. Step 3: Exhale and bend the right knee to create a 90-Degree angle with the knee where the right thigh is parallel to the floor and the right shin forms a perpendicular degree to the floor. The right knee should not exceed the toes of the leg at any time as this will lead to a weakening of the knee joint. The outer edge of the left foot is pressed onto the floor while the right heel is also pressed into the floor to encourage stability. Step 4: Squaring the shoulders and straightening the back, start bending on the right side and place the right palm on the floor right next to the right foot and outside. While the left arm is straightened and extended deeply towards the side of the body. The palm of the left hand is facing the floor and the gaze of the practitioner is fixed on the palm of the left hand. The shoulders are drawn away from the ears at all times. Step 5: In order to come out of the pose, bring the left hand back to the starting position and lift the torso back up. Bring the left foot slowly back in line with the right foot and stand back in Tadasana. Beginners can experience a shorter reach or instability while performing the pose and hence are unable to reap deeper benefits of Utthita Parsvakonasana. This is why it is suggested that they use a block by placing the block on the outside of the right foot. First, place it vertically and then horizontally, and gradually remove it altogether. In step 4, where the practitioners place the right hand on the floor, they can place the palm on the block and move forward in the same fashion as mentioned before. Many practitioners use a belt as well to keep the bent leg straight and not swaying inwards due to an increased body weight on the same. Make a small loop of the belt and fix it on the right thigh. The belt can also be placed in the crease of the meeting point of the groin and the pelvic muscle. With the help of a teacher, the belt can be pulled up and back to keep the leg strong, stable, and in place. The pose twists and strengthens the spine and removes the negative effects imposed by a sedentary or an unhealthy lifestyle. Women suffering from menstrual cramps, aches, and pains can use this pose beforehand to avoid the uneasiness during the menstruation. By activating the entire body, it creates a sense of alertness and increases vitality in the body as well. One of the many benefits of Utthita Parsvakonasana is that it is great to open the hips and works as a great preparatory pose for the other advanced asanas. The grounding and pressing action of both the feet in the ground help to strengthen the thighs, knees, shins, and ankles and increases stamina, courage, and vigor in the body. It works on the upper body as well in the extending and pressing motion of both arms. This works the deltoids, triceps, lower side external obliques, and the upper side internal obliques as well. Many practitioners practice this pose to remove sciatica, lower back, and stiffness in the body. 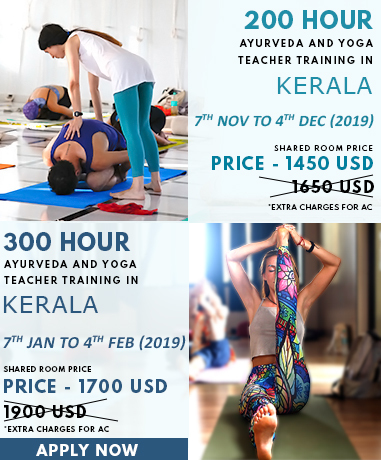 To know about Utthita Parsvakonasana in further detail, explore our Yoga Teacher Training In India.